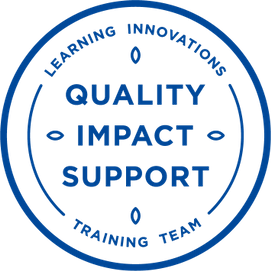 Learning Innovations Training Team is a registered apprenticeship training provider established in 2004. We are a team of highly qualified, dedicated and supportive professionals, with considerable experience in the successful delivery of Apprenticeships. We are straightforward, responsive and approachable. We have excellent relationships with our employer partners and we are renowned for our agility, flexibility and adaptability. We can help you successfully navigate the Apprenticeship Levy and funding reforms and maximise your investment. We specialise in the delivery of Administration, Customer Service, Team Leading and Management Apprenticeships. Our mission is to be the independent Apprenticeship provider of choice through our focus on quality, impact and support. We deliver qualifications to develop existing members of staff and we help many businesses to place new apprentices. The vast majority of apprentices we help place have been promoted and have progressed in their careers. Throughout our delivery we apply our expertise to meet the needs of businesses and individuals. We deliver feedback, motivation and support the achievement of learning goals and career aims which has enhanced the businesses we work with. Not only have these and other companies given new apprentices as well as existing staff a great opportunity, they have also created dedicated employees to help grow their business and improve their bottom line.